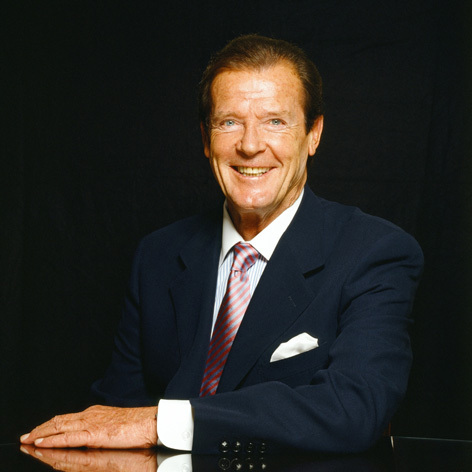 Following the huge success of his tours over the last four years, Sir Roger Moore, the legendary film star who played the iconic role of James Bond, will return with a brand new tour for 2016. Celebrating 70 years in showbusiness this year, Sir Roger will be discussing his extraordinary life and career, with inside stories and exclusive anecdotes ranging from his internationally-renowned TV series The Saint and The Persuaders, through to Hollywood blockbusters and, of course, the James Bond 007 films, in which he starred as James Bond between 1973 and 1985. Gareth Owen will interview Roger. Gareth is an author of nine books and has worked with Roger Moore on his autobiography My Word Is My Bond and Bond On Bond. Gareth has interviewed Roger previously at the BFI Southbank, the Barbican Centre and at various UNICEF fundraisers throughout Europe. The show will be followed by an audience Q&A. Presented by Suzanna Rosenthal and Jeremy Meadow.